Below you fill find all funeral homes and cemeteries in or near Grayson. Suburbs of Grayson: Fultz, Jeriel, Johns Run. Grayson is also known as: Carter County / Grayson city. Their current mayor is Mayor George Steele. Zip codes in the city: 41143. Carter County funeral flowers can be purchased from one of the local funeral shops we partner with. Grayson is a city in and the county seat of Carter County, Kentucky, United States, in the state's northeastern region. The population was 4,217 at the 2010 census. The city is part of the Huntington-Ashland WV-KY-OH Metropolitan Area in which Grayson serves as a suburb to nearby Ashland, Kentucky. Interstate 64 and the AA Highway converge in Grayson making the city a gateway to the Huntington-Ashland urban area. It was reported on February 12th, 2019 that Lavonne Gibson (Jarvis) passed away in Rocky Gap, Virginia. Ms. Gibson was 75 years old and was born in Grayson, KY. Send flowers to share your condolences and honor Lavonne's life. It was written on July 18th, 2017 that Lucille F Weldy (Fraley) passed on in Indianapolis, Indiana. Ms. Weldy was 91 years old and was born in Grayson, KY. Send flowers to express your sorrow and honor Lucille F's life. It was written by The People's Defender on April 12th, 2017 that Easie M Chandler (Burchett) passed away in Seaman, Ohio. Ms. Chandler was 88 years old and was born in Grayson, KY. Send flowers to express your sympathy and honor Easie M's life. It was reported by The People's Defender on January 4th, 2017 that Donald Barnhill passed on in Cincinnati, Ohio. Barnhill was 80 years old and was born in Grayson, KY. Send flowers to express your sorrow and honor Donald's life. It was noted by Flint Journal on October 25th, 2016 that Ruth M Lyons perished in Flint, Michigan. Lyons was 80 years old and was born in Grayson, KY. Send flowers to express your sympathy and honor Ruth M's life. It was written by Forks Forum on October 20th, 2016 that Edwin C Marion passed on in Forks, Washington. Marion was 88 years old and was born in Grayson, KY. Send flowers to express your sorrow and honor Edwin C's life. It was revealed on May 11th, 2016 that Rose M Justice (Gee) passed on in Elyria, Ohio. Ms. Justice was 77 years old and was born in Grayson, KY. Send flowers to express your sympathy and honor Rose M's life. It was noted by The People's Defender on May 20th, 2015 that Arcoma Day (Davis) passed away in Cincinnati, Ohio. Ms. Day was 87 years old and was born in Grayson, KY. Send flowers to express your sorrow and honor Arcoma's life. It was written by The People's Defender on May 14th, 2014 that Carl Barnhill passed away in Seaman, Ohio. Barnhill was 80 years old and was born in Grayson, KY. Send flowers to express your sorrow and honor Carl's life. It was reported by The Star on November 18th, 2013 that Freda Mae Thompson (Burton) died in Shelby, North Carolina. Ms. Thompson was 82 years old and was born in Grayson, KY. Send flowers to express your sympathy and honor Freda Mae's life. Grayson is a city in Carter County, Kentucky County, Kentucky, United States, along the Little Sandy River (Kentucky) Sandy River. Since Interstate 64 and the Kentucky State Highway 9 Highway both converge in Grayson, the northern part of town has an abundance of truck stops and fast-food establishments. Grayson's largest employer is Smithfield Foods, formerly known as Cooks. The population was 3,877 at the 2000 United States Census census. 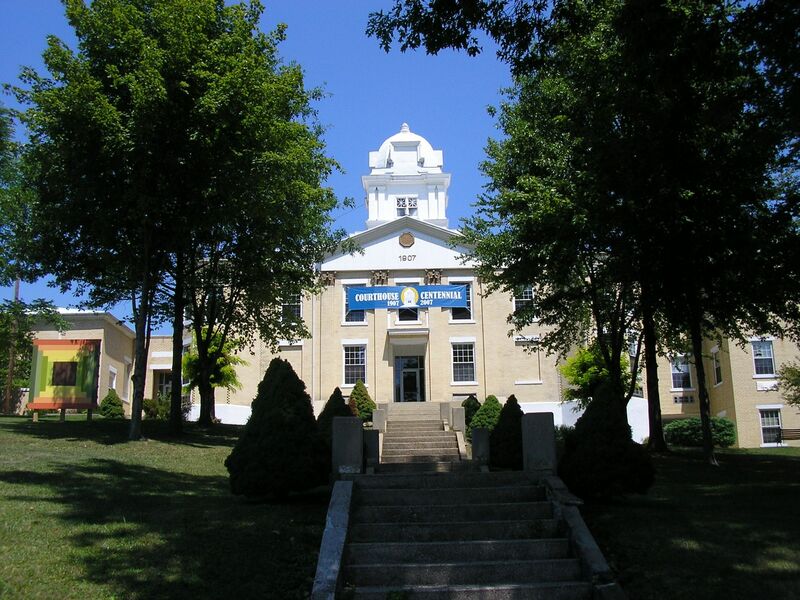 It is the county seat of Carter County, Kentucky County. The official website for the city of Grayson is http://graysonky.net. Listing all funeral homes in Grayson, Kentucky so you can easily send flowers to any location (same day delivery) or find any funeral service. Funerals in Grayson, KY on Yahoo! Local Get Ratings & Reviews on Funerals with Photos, Maps, Driving Directions and more. We work with local florists and flower shops to offer same day delivery. You will find budget sympathy flowers in Grayson here. Our funeral flowers are cheap in price but not in value.